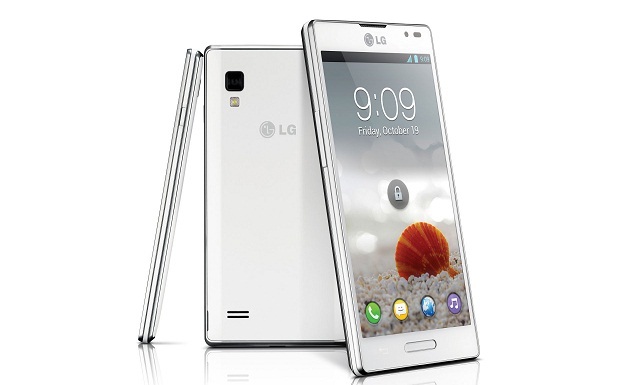 The LG’s next L series pocket-friendly member that excels with its good performance. he LG Optimus L9 I am going to show you in this video review represents the next generation in the L-family, to be more specific it is L7’s successor. The L9 is designed to be a budget-friendly smartphone solution. The body is made of polycarbonate which results in the lightweight of only 4.41oz, it is pretty thin as well – only 0.36 inches. The case is available in two colors: elegant black and stylish white. The 4.7’’ LCD display features IPS technology and provides pixel density of about 234ppi. It is bright enough to ensure easy exploitation outdoors even in wide viewing angles. The qHD resolution you are quipped with on this handset is 540×960 pixels. Despite the low resolution the screen provides very decent graphics with good contrast and rich colors. They are brought to you by the PowerVR GPU. The screen is protected by Conrning Gorilla Glass 2. The L9 runs on a dual-core 1GHz TI OMAP processor. The platform that handles all of the processes on this one is the well-known Android 4.0.4. The operating memory is 1GB. The 2150mAh Li-Ion battery was a good surprise, be sure that it will not betray you no matter how long you play with the phone, no matter how much you surf online. We tested it for two days and since I need constant access to the Internet and I downloaded quite a few apps. So after all this time spent on Facebook and watching videos on YouTube I can honestly confess that I had a hard time draining that battery completely. The user interface on the L9 performed excellently, we didn’t experience any lagging. The transitions between the home screens are easy and run smooth. The sensor technology responds immediately to finger gestures. We should pay attention to LG’s special My Style Keypad that provides the comfort and flexibility to type with ease using only one hand. The 5MP base camera produces good quality images at 2592×1944 pixel resolution. All the necessary controls and tools are available here to replace a point-and-shoot camera with one that is always in your pocket, it features geo-tagging, touch focus and face detection. In dark conditions the camera is facilitated by an LED flash. This rear-facing camera captures video at 1080p. The video-call camera is a front-facingVGA one. The built-in memory on the smartphone is 4GB but the SD card slot provides the option to expand it with 32GB more. The connectivity on this beautiful handset is provided by a microUSB port and Bluetooth technology v3.0 in combination with A2DP and EDR. Bear in mind that the SIMcard you need to use LG Optimus L9 is a micro version.